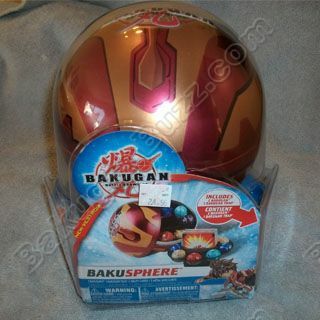 The Bakugan Bakusphere is what is replacing the Bakutins. 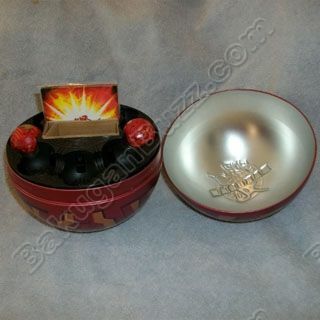 The Bakusphere is a tin but it is shaped like a round Bakugan Ball. 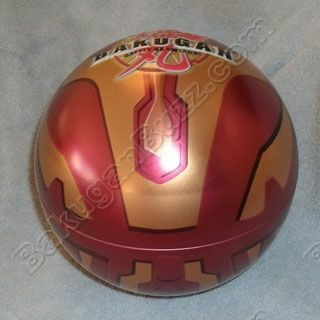 The bottom of the Bakusphere has a small flat spot so it will not roll away when you set it down and this is where the attribute symbol is on the Bakusphere. So far there is a Darkus, Aquos and Pyrus Bakusphere. These are retailing for about $24.99. 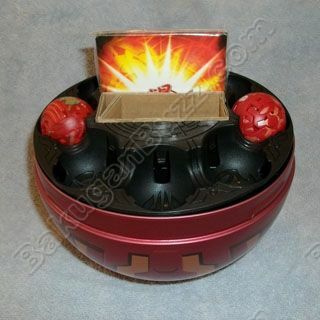 Each Bakusphere comes with 2 Bakugan and 1 Bakugan Trap, plus 3 Gate cards and 3 Ability cards. 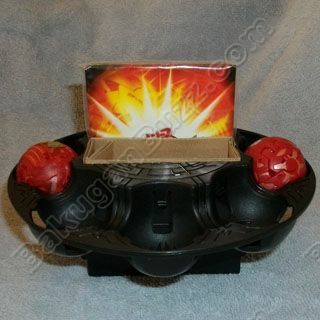 Both Bakugan and the Trap will match the attribute of the Bakusphere itself. 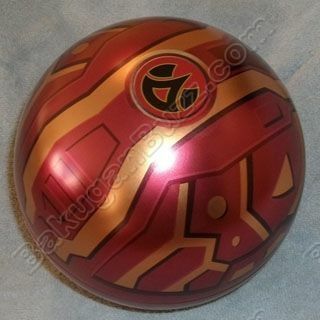 One Bakugan will be translucent as well. From our findings so far, all of the Bakugan have been the same in each attribute of Bakusphere BUT we have seen different Traps in the same attribute of Bakusphere. For example, the Darkus Bakusphere contains a translucent darkus Shadow Vulcan and a darkus scraper. For the trap that is included we have seen one darkus Bakusphere include a darkus Baliton, while a different one included a darkus scorpion. 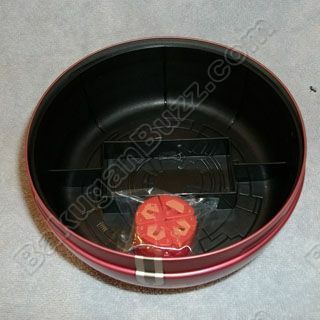 Inside the Bakusphere there is a top tray that is made of hard plastic. It has a spot in the middle that will hold a good amount of cards. 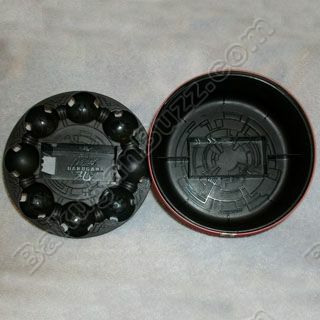 Then all around the outside are 8 spots to hold your Bakugan Balls. When you lift out the top tray, the bottom tray ( actually is suppose to stay inside the Bakusphere and isnt meant to be removed ) has a small square in the middle that the top tray connects to and then all around the outside is open so you can store your trap/s or anything else you want. of the Bakusphere itself. One Bakugan will be translucent as well. 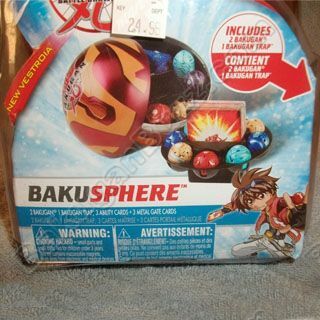 From our findings so far, all of the Bakugan have been the same in each attribute of Bakusphere BUT we have seen different Traps in the same attribute of Bakusphere. For example, the Darkus Bakusphere contains a translucent darkus Shadow Vulcan and a darkus scraper. For the trap that is included we have seen one darkus Bakusphere include a darkus Baliton, while a different one included a darkus scorpion.